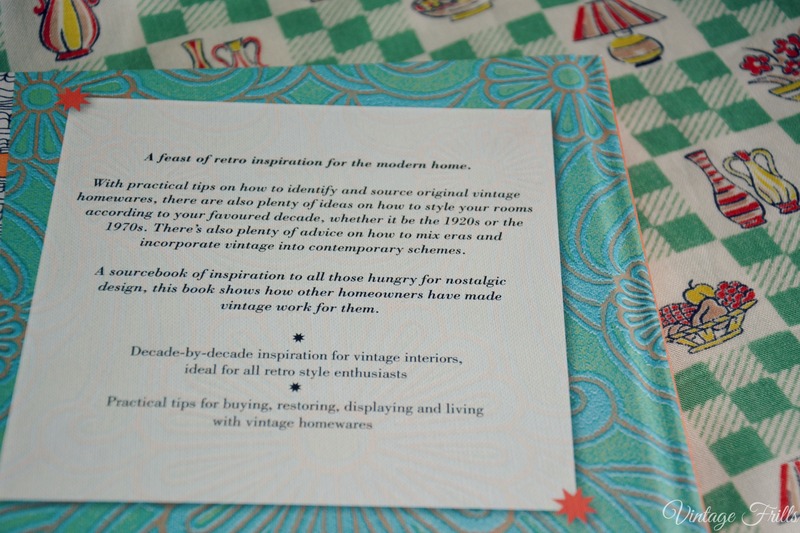 As I’ve mentioned many times on the blog, I’m a huge fan of the Style Me Vintage book series. 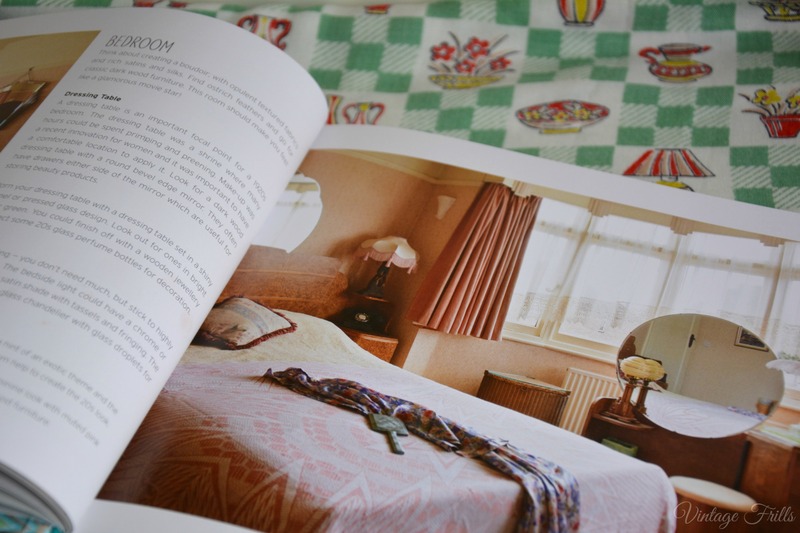 We’ve had quite a few offerings now, from clothes to make-up to tea parties, these guides are full of useful information and resources for both vintage newbies and seasoned collectors alike. 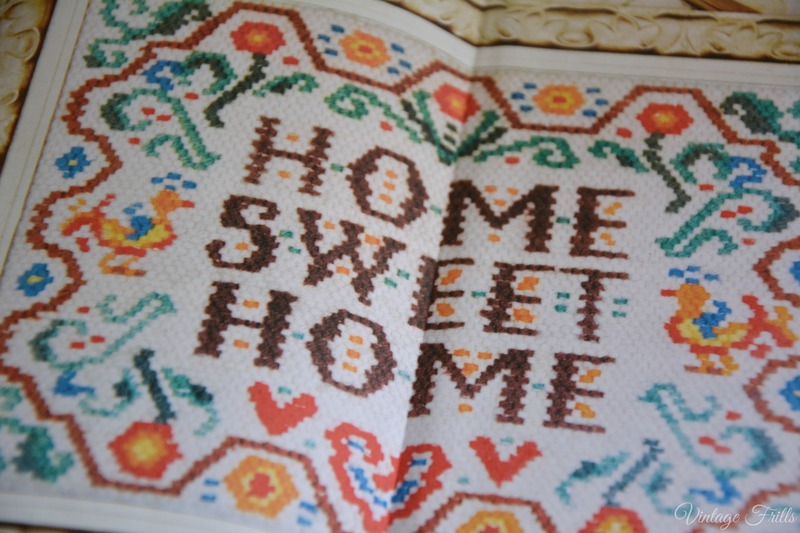 I was so pleased when I heard that a home book was coming out and I am quite familiar with Keeley Harris the author having followed her on Twitter for a few years now. Keeley Harris has been collecting and dealing vintage homewares since her teens as well as organising her own vintage home fairs. Her father was an antiques dealer, so like many successful vintage dealers she has a family background in buying and selling retro items. 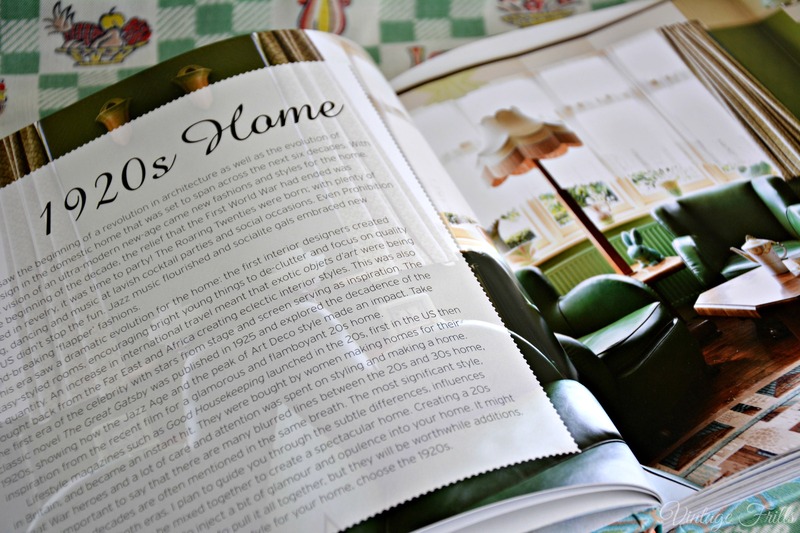 She is also experienced in writing about vintage interiors and her work is regularly featured in home magazines. So she’s definitely the perfect person to talk us through vintage and retro home decor. 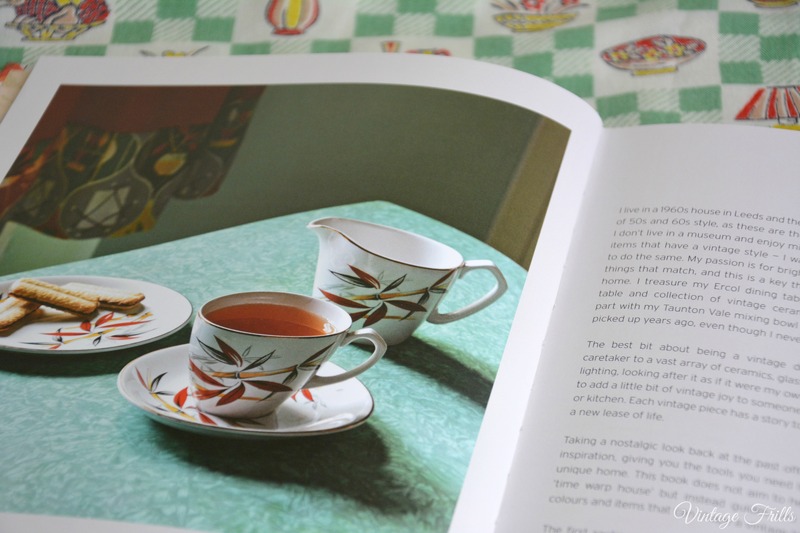 I read the whole book in one sitting and thoroughly enjoyed leafing through it’s pages, as well as admiring the gorgeous photos, I also learnt so much about vintage homewares and collectibles from various eras. The book covers the decades from the 1920s to the 1970s. I liked the way the book was divided into sections for each decade, with an introduction and loads of useful information at the start. 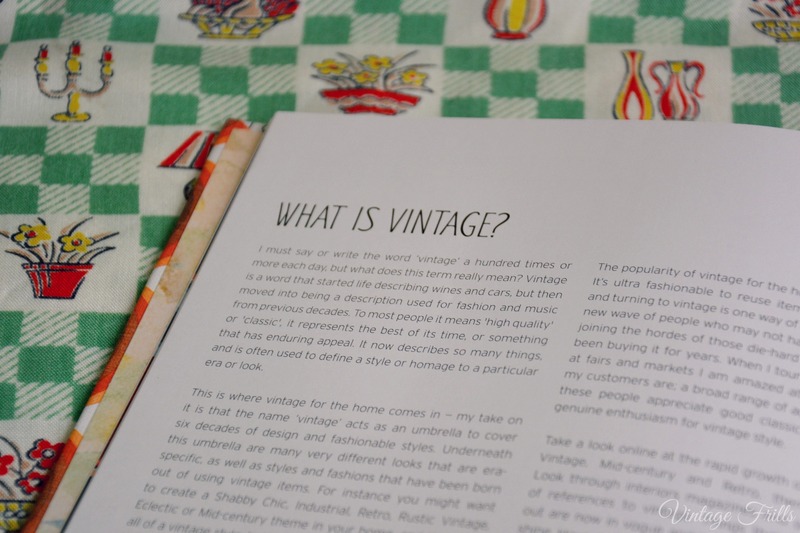 The author explains what vintage actually is and goes on to to explore different types of furniture and collectibles. there is also a useful section on where to buy and source vintage home bits. This is a great starting point for people who are new to buying vintage and I found the section on buying at auction particularly helpful. The sections for each decade are also broken up into handy sections. She begins by giving an overview of each decade and the social reasons for particular style choices of each era. This is really interesting and helps the reader to appreciate the background and inspiration behind the fast changes interior trends of the 20th Century. She than goes on to look at details such as wall decoration, textiles designs and lighting as well as furniture, collectibles and artwork to complete the look. Useful asides with bullet points pick out the key items to hunt out for each era and would make a useful shopping list for anyone trying to create an era specific vintage interior. Finally for each decade we look at the individual rooms of the house and what key items and decoration would go in each one. This is so easy to follow and all the real home pictures are actually really achievable with a little time and a rather impressive budget. I also really liked the little quotes from the owners of the featured houses. Keeley mentions in the introduction that the book isn’t about creating a ‘time warp’ home but rather using the best bits of the past to create a livable space. I also liked that the featured homes were everyday suburban houses like my own. I loved looking through all the different decades and picking my favourite features from each. I loved the floral and slightly shabby look of the 1940s as well as the bright and fun look of the 1950s. I am always really fascinated by 1930s interiors as my own house was built in 1935 and I like to imagine how it would have looked. One of the things I found most useful was the mentions of particular ceramics brands that are quite affordable and easy to come by. I had eBay open on my phone as I was looking through and already have spotted a few things I’d like to buy! At the end of the book we explore the different types of vintage styles and fashions that we see now. It is unusual to see modern homes only fitted out in interiors from one particular decade, and for many of mixing decades and creating a more modern look is far more common and achievable. 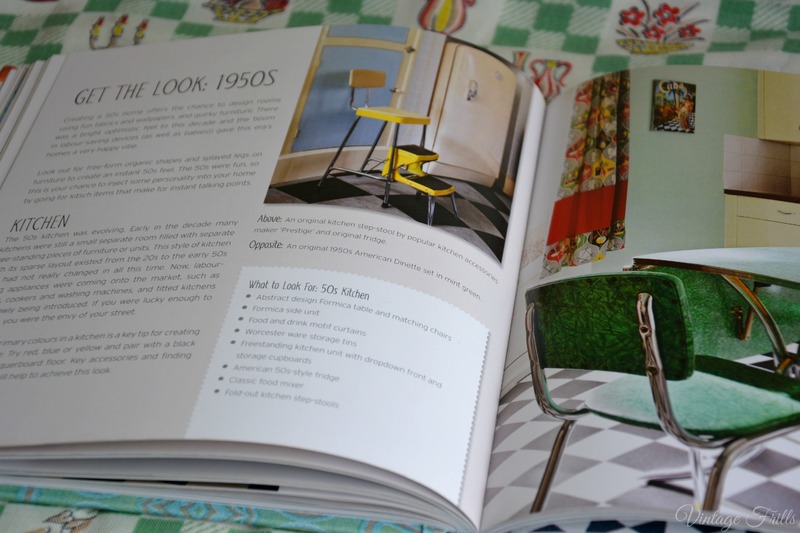 The author discusses the main styles that we see today Shabby Chic, Mid-century Modern, Retro, Industrial and Eclectic and explains what defines these looks and how they can be created. I’ve always been a little obsessed with home decor even since I was small. In my year book from high school it says ‘Most likely to be a famous interior designer’! I may not be a famous interior designer, but my love of home decoration lives on as does my love of trawling antique shops, car boot sales and charity shops for thrifty vintage home bargains. This book has really helped me to work out exactly what I should be looking for and which brands to keep an eye out for. It really has been very helpful and it’s a reference I will use again and again. 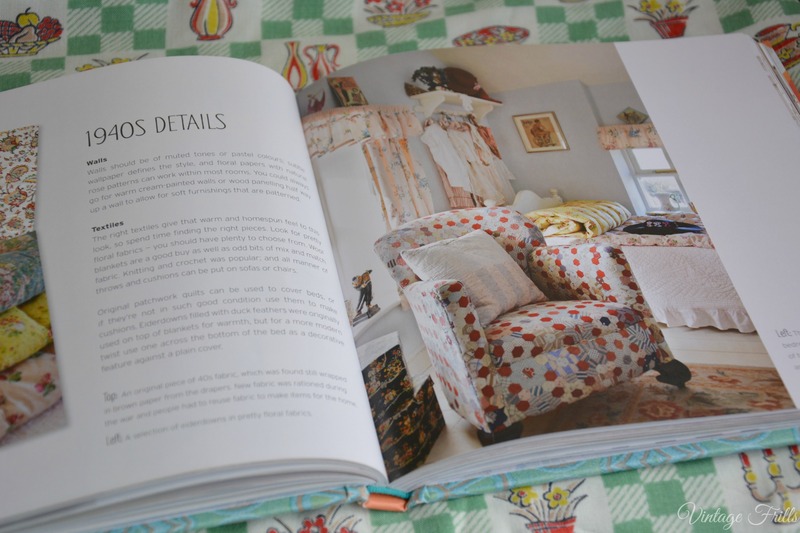 If you are new to vintage home collecting or want to build on your existing knowledge, or you’d just like to look at some really fab pictures of vintage inspired homes, then this book really is a must have! 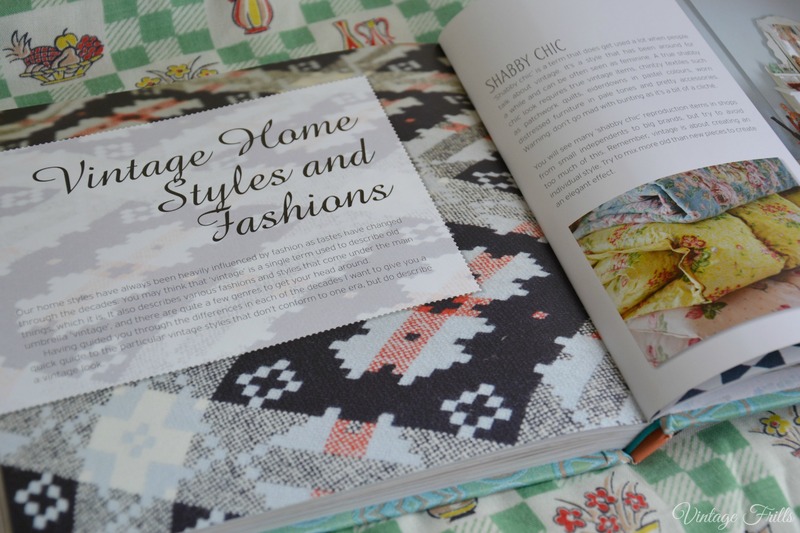 Style Me Vintage Home is Written by Keeley Harris and Published by Pavilion. 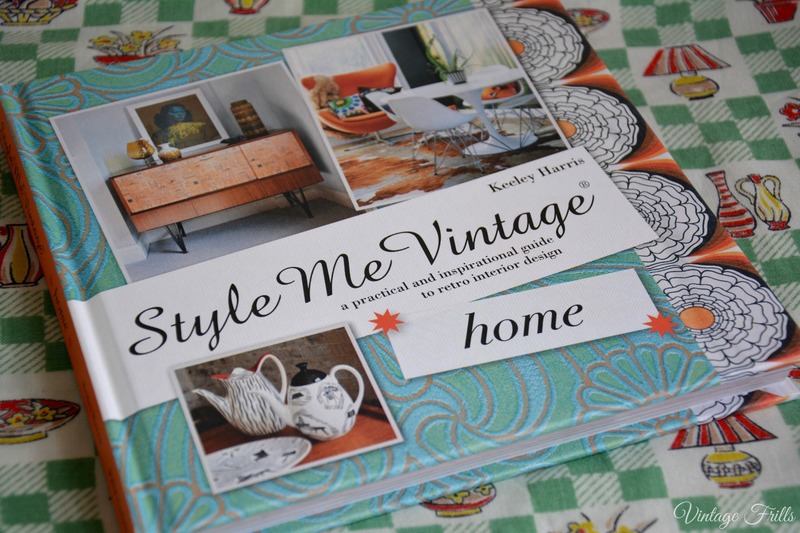 Buy Style Me Vintage: Home on Amazon. Next Article An Adorable Vintage Style Cat Brooch! Yippie!!! I love this series (I have two of the books in it so far) and that they’re branching out to decor now, too. It’s always been a passion of mine as well (in fact, little known fact, that runner up for the topic that I decided to launch my blog about way back in 2009 was home decor – had I not gone with vintage, that likely would have been it). I have one of her books and I really must put my ipad down and read it! Thanks for the review!